Comprehensive hardcover textbook covering all aspects of safety, tools, troubleshooting, emissions and more. 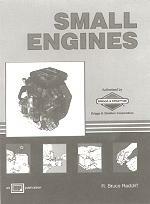 Twelve chapters from basic princples through engine theory to electricity and failure analysis. Meant to be a standard reference book for repair facilites, vocational schools and consumers.